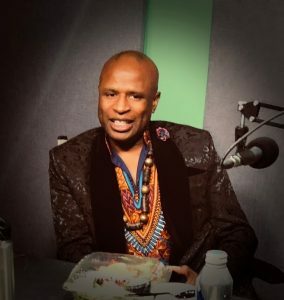 Alex Boyé is Nigerian, English, American, he’s a convert to the LDS church, he’s been homeless, and he’s toured the world as a huge rock star. He is a lot of things, but mostly a very interesting and nice guy with an amazing life story. This entry was posted in Podcast Episodes and tagged Alex Boyé, Bill Allred, Dylan Allred, LDS Church, Mormon, Music, The Let's Go Eat Show. Bookmark the permalink.